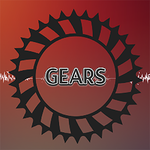 Gears Deluxe is a great and fun as well as addictive game. This is a highly profitable game if advertised, it's published in 3 different app stores. Google play, IOS , Amazon. 3 times the money!